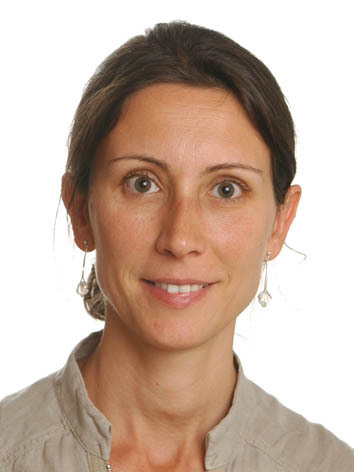 As JPhysD launches its new section on the physics of renewable energy and sustainability, we got talking to its Section Editor; Professor Anna Fontcuberta i Morral. Associate Professor and Head of the Laboratory of Semiconductor Materials (LMSC) at the Institut des Matériaux, École Polytechnique Fédérale de Lausanne (EPFL), Switzerland. Professor Fontcuberta i Morral discusses her current research on semiconductor nanowires and what inspired her to become a scientist. Which research projects are you and your group currently working on? We have two main projects. We are working on the use of semiconductor nanowires, and in particular gallium arsenide (GaAs) nanowires, for next generation solar cells. The photonic properties should allow an improvement in their efficiencies and at the same time, realize new concepts. We also have a completely new project concerning the use of direct bandgap semiconductors made of earth abundant semiconductors. This would allow a much easier deployment of photovoltaic energy at a much lower cost. What motivated you to pursue this field of research? On one side, the curiosity for synthesizing new materials with new properties, and on the other side the will to contribute to sustainability. Where do you think the field is heading? The field of next generation solar cells is currently boiling. Many new concepts are arising. I believe that it will only focus on one or two concepts once the real potential has been shown. I’m sure it would sound more fancy to credit Einstein, Marie Curie or something similar but in fact, I was inspired to pursue science by working closely with my PhD and postdoc advisors: Pere Roca i Cabarrocas and Harry Atwater. What do you find to be the most rewarding aspect of your job? Seeing young scientists become mature and independent. If you were a young physicist just starting out today, what would you study? What would you say to a student who wanted to shape his or her future with a career in science? Be curious, follow your heart and find (a) good mentor(s). You can read some of Professor Fontcuberta i Morral’s work here. If you are interested in reading more on nanowires, you can also read JPhysD’s 2014 special issue on Nanowires, for which Professor Fontcuberta i Morral was one of the Guest Editors. This work is licensed under a Creative Commons Attribution 3.0 Unported License. Image courtesy of Anna Fontcuberta i Morral.